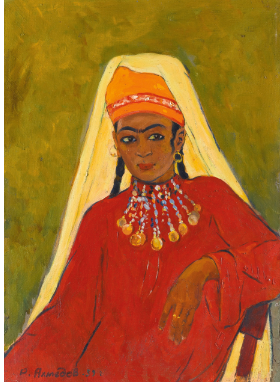 Around 50 artworks, including pieces by Uzbek and Kyrgyz artists, will go on display as part of At The Crossroads, the first-ever selling exhibition of contemporary art from Central Asia and the Caucasus to be organised by Sotheby’s. The pioneering exhibition will take place at Sotheby’s New Bond Street premises in London from 4 - 12 March 2013. At The Crossroads will offer contemporary artworks in various media by artists from across Central Asia and the Caucasus, including Armenia, Azerbaijan, Georgia, Kazakhstan, Kyrgyzstan, Tajikistan and Uzbekistan. The exhibition will showcase non-conformist as well as socialist-realist art from the 1960s, right the way through to emerging contemporary practices. Uzbekistan will be represented by four artists: Rahim Ahmedov (1921-2008), Murod Karabayev (1963), Jamol Usmonov (1961) and Alexander Barkovskiy (1979). The pieces by these artists have gained international attention and have previously been showcased at art shows in Uzbekistan and abroad. Kyrgyzstan's Alimjan Jorobaev’s image Mirages of Communism #1, 1994 is included in the sale. 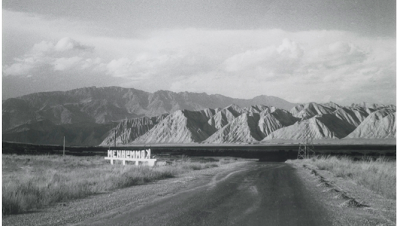 This work is part of the photographic series that the artist developed during the turbulence of the breakdown of the Soviet Union, when he travelled his native Kyrgyzstan in search of symbols of the past. The exhibition is co-organised by Uzbekistan’s MEROS Association of Antiques, an art institution founded on the basis of voluntary contributions from collectors and organizations supporting Uzbek arts and the preservation of the country's cultural legacy.